Poll Question: Help Us Rename the Blog! Would a blog by any other name read as sweet? Thank you for keepin’ up with Movin’ On Up! For the past 11 years, you’ve been here for interview tips, job search advice, career coaching, and more. 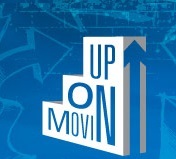 Movin’ On Up is in for some big changes. Why? Because we’ve moved beyond career advice. Our blog isn’t just about climbing the corporate ladder. Not everyone wants to be a CEO or CFO. And that’s okay! Some just want a great job with killer benefits. And to get there, workers need to understand how to ace that interview, write that winning resume, and stand out at work. By the end of the year, we hope to refresh the blog with a new look and name. That’s where you come in. Check out the poll below and choose your favorite name for the blog. Not seeing anything that stands out? Feel free to choose ‘Other’ and type a suggestion or two of your own!